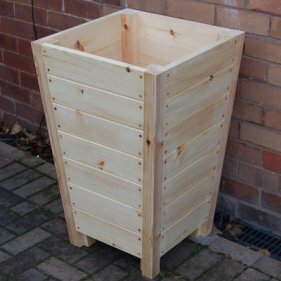 The Bladon is a tall tulip shaped wooden garden planter that would look elegant either side of a door or gate with a specimen Bay or Box tree. The Bladon is constructed from Scandinavian red pine. It features 75mm square corner posts and is in-filled with 25mm thick tongue and groove planking with screwed and plugged detailing. 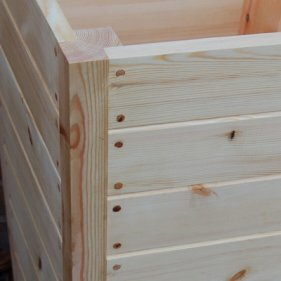 This detailing is the difference between our Bladon and Woodstock Planters.The internal walls of these planters are now painted with a waterproof paint sealant. Jenny also look great flowing down tall planters. that the cultivar is on a dwarf rooting stock to start with.